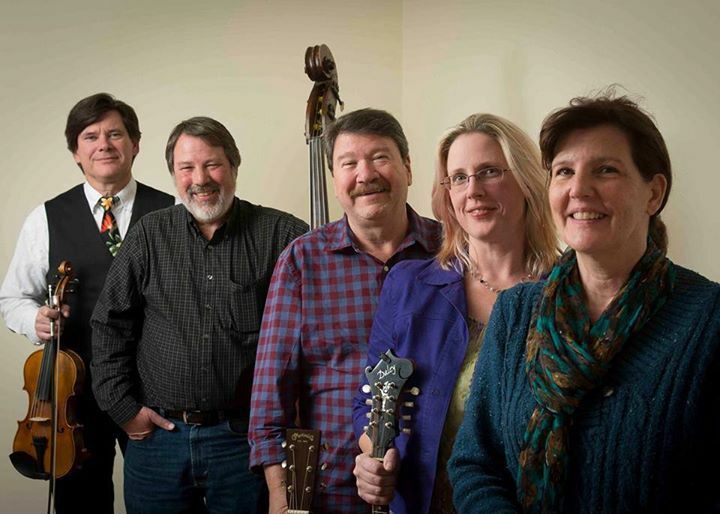 East of Monroe is an Americana/bluegrass group based in Virginia and Maryland. Their music is mostly original tunes along with tasteful covers of diverse songs. The band members all have different influences and backgrounds and that accounts for the many different styles of music the group plays. It all comes together in a unique, entertaining way- and with their new release, By the River's Edge, they will surely become a force on the acoustic scene. Gary Alan Ferguson (guitar, mandolin, vocals): Gary Alan Ferguson is a singer, songwriter and multi-instrumentalist whose music blends a variety of influences into his own style of roots music. The winner of the 2015 DCBU Hazel Dickens Songwriting contest and a finalist in the 2014 Chris Austin Songwriting Contest at MerleFest, Gary has toured throughout the U.S. and Europe with a number of highly regarded country, bluegrass and swing bands. His performance and/or recording credits include the Knoxville Grass ("Painted Lady"), country hitmaker Donna Fargo, Claire Lynch, John Starling, the Virginia Squires and many others. His song, Southern Train was selected for the songwriter showcase at the 2015 IBMA World of Bluegrass. Jackie Frost (guitar, vocals): Jackie Frost is a long-standing favorite in the Richmond, Virginia music scene, having fronted several of her own groups and collaborated with Among Friends. Her album, Calliope, was a finalist in the 2006 Independent Music Awards. Lisa Kay Howard (mandolin, vocals): Lisa Kay is a renowned bluegrass and Americana mandolin player and vocalist, and she hosts The Old Home Place on WAMU's bluegrasscountry.org. She currently performs with East of Monroe, Valerie Smith & Liberty Pike, and her own Lisa Kay Band. Wally Hughes (fiddle, dobro, vocals): Wally Hughes is a veteran of Bill Emerson's Sweet Dixie, and a member of multiple bands, including East of Monroe, Randy Cook & Commonwealth Bluegrass, and Valerie Smith & Liberty Pike. Terry Wittenberg (banjo, vocals): Terry Wittenberg has lent his banjo and vocal skills to multiple groups and projects, including: None of the Above, alongside Les McIntyre; Southgate, alongside Dave Auldridge, Ed Ferris, and Akira Otsuka; Overland Express; the Newgrass Effect, alongside Tom Gray; John Odell & Windy Ridge; the Annapolis Bluegrass Coalition; and East of Monroe. Billy Budd (upright bass) : Throughout his long career in bluegrass and Americana music, Billy has appeared with many artists and groups, including: Stoney Point; Bill Harrell & the Virginians; Josh Graves; Kenny Baker; Mac Wiseman; and East of Monroe. Catch East of Monroe in the intimate setting of Matt Molloy's Yard bar on Thursday, 12th April 2018. Doors open at 8pm and tickets will be available on the door on the night.